dioxide (CO2) emissions and fuel bills. consultation period prior to being elected. With this it became the responsibility of the vendor to “commission” only an EPC prior to bringing their residential property to market, whilst the requirement for landlords remained the same in that they had to put an EPC in place only when a new tenant moved in. There were several measures introduced in an attempt to improve the energy performance of buildings after it was revealed that our buildings are responsible for almost 50 per cent of the UK`s energy consumption and carbon emissions. The way a building is constructed, insulated, heated and ventilated will affect its carbon emissions. thus lowering fuel bills and carbon emissions. Other measures included: making it necessary for all public buildings to display energy certificates; making inspections of air conditioning systems essential; and giving advice and guidance to boiler users. Why are Energy Performance Certificates important in the rental sector? property that is self-contained and will remain valid for 10 years. Tenants interested in renting a property must have an EPC made available to them free of charge – only when you rent a room and share facilities is an EPC unnecessary. An EPC report will make recommendations to improve energy efficiency in the home, the estimated cost of implementing those recommendations, the savings that could be made each year and how this wouldchange the energy and carbon emissions of a property. system visible, quantifiable and mandatory. It will enhance transparency and make it easier for tenants to compare properties like-for-like. considering investing in a property - and tenants considering letting one - will think about the sustainability issues and the cost of utilities to service those buildings. In the autumn of 2011 there were huge price hikes for both gas and electricity from all of the UK`s `big six` energy providers – Eon, Scottish Power, British Gas, Scottish & Southern Energy, Npower and EDF Energy. This has pushed the issue of energy efficiency to the forefront of people`s minds as they look to keep a lid on their living expenses. to make an informed decision before they commit to letting a property. request unless a tenant is renting just a room and sharing facilities. EPCs can only be produced following an assessment from an approved domestic energy assessor and the cost, when ordered from an estate agent for an average home, will be about £85 excluding VAT. Our fee at Wirral EPCs, for the majority of Wirral properties, will not exceed £55 VAT free, a saving of 35%. in the estate agent’s particulars. 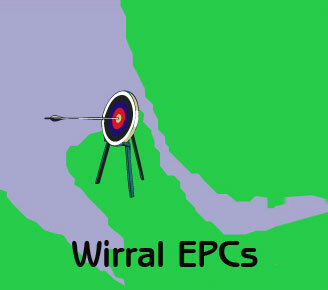 with the initial EPC’s recommendations an updated EPC reflecting these improvements will be made available from Wirral EPCs for a small nominal fee representing a fraction of the original cost. have decreed that all EPCs, whether on marketed properties or rental properties are valid for 10 years and so an EPC can mistakenly represent a property for 10 years if the property has been improved and another EPC not been lodged to represent that improvement! 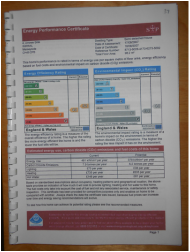 In April 2012 a new style of EPC was introduced which is more user-friendly and which specifically ties in with Green Deal funding, available from January 28, 2013. 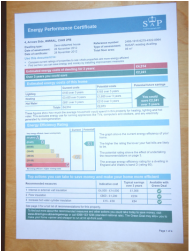 The EPC designates improvement measures with green or orange ticks to indicate the likelihood of green deal funding.